I am delighted to be a visiting composer with the Frederic Chopin Conservatoire in Paris for their Clavier Contemporain Weekend in February. I first visited the conservatoire in December to run a week of composition workshops with the students. I am returning in February for the festival, where the students will premiere the compositions they wrote during our workshops. I will also be giving the first performance of a new piece for piano four hands at the festival myself, which I have written especially for the occasion, accompanied by fellow Irish composer Judith Ring . This project is generously supported by the Contemporary Music Centre in Dublin and the Centre Culturel Irlandais in Paris. Only one day after I return from France, I'll be rushing off to Manchester for a 2-day residency with The Dublin Miniatures Project which you can view here. Other works include a setting of Christian Bok's poetry for David Bremner and Elizabeth Hilliard, the piano trio Scenes, premiered in the National Concert Hall in July, and a number of other piano solos and duets. The Music Educators Orchestra have ended their first year on a high by hosting an evening of contemporary classical music in association with the national Love:Live Music Day. We are also delighted to accept new members who have joined us following my recent talks at music conferences for the Association of Irish Choirs in Limerick and the Kodaly Society of Ireland in Dublin. My next appearance will be at the annual conference of the Post-Primary Music Teachers Association in October. My second workshop for composing in primary schools has been launched by the Contemporary Music Centre. The focus of New Music Alive! Book 2 is composing electronic music in the classroom, from collecting found sounds to editing and effects processing. See the Journal of Music feature here. Over the spring of 2012 I was invited to mentor on the AIC's Open Music Project. Nine young composers were selected to compose original works which could be played by any instruments. The composers met with their mentors every few weeks and had their pieces workshopped and recorded by a hand-picked quintet made up of some of Ireland's leading performers. For more details, including one mentor's review of the project, visit the AIC website. This year I was elected Secretary of the Association of Irish Composers, a role I have leapt into with gusto! As well as expanding the organisation's membership, I have initiated an annual residency for Irish artists at the soundSCAPE Contemporary Music Festival and plans are now underway for a new national concert series which will be launched later in the autumn, so watch this space! I am honoured to have been awarded the Kildare Per Cent for Arts Commission 2012. For this commission, I will compose three new "open score" pieces, one for each school term, and the compositions will be performed by the children of Caragh National School in Kildare. I will also hold an on-going residency in the school, making regular visits as the work progresses to teach the children their parts and to help them compose their own music in response to my work. I am very excited to announce the establishing of the first ever gamelan orchestra in Dublin and I am delighted to be taking up the position of director. 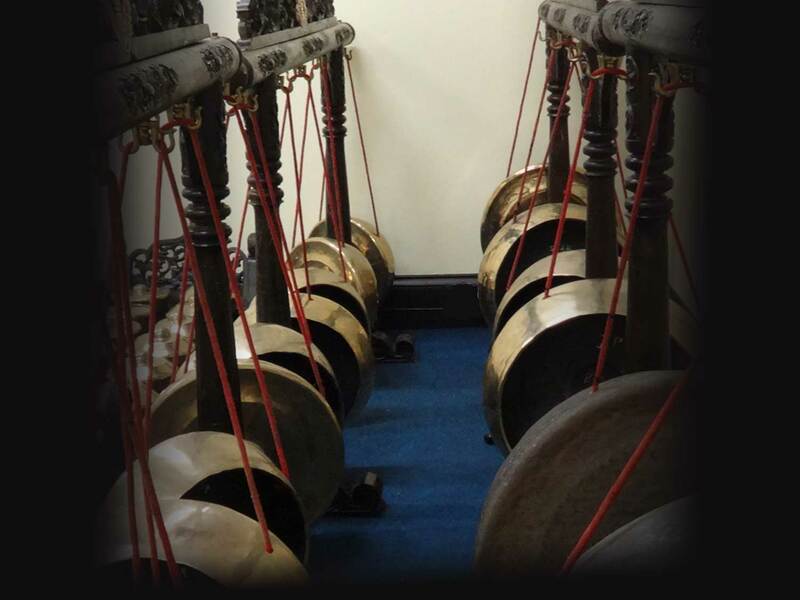 The gamelan will meet in the Newman Building of University College Dublin every Wednesday evening from 5pm. Read an article about the launch of the orchestra in the Journal of Music. For more information you can e-mail me or find the UCD Gamelan Group facebook. Last autumn I wrote an article for the Journal of Music discussing my recent work bringing composing into schools and running the Music Educators Orchestra.